Last night I harvested lettuce heads from the garden: our first harvest! Normally we would have lettuce and salad greens ready much earlier in the year, but we got a late start this season. 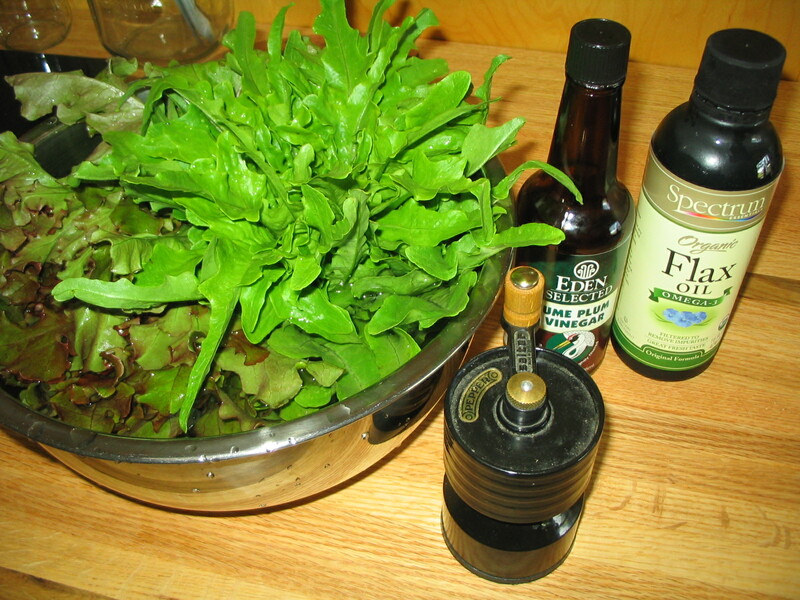 My favorite way to dress lettuce and greens is with flax oil, ume plum vinegar, and freshly ground pepper. Very tasty.